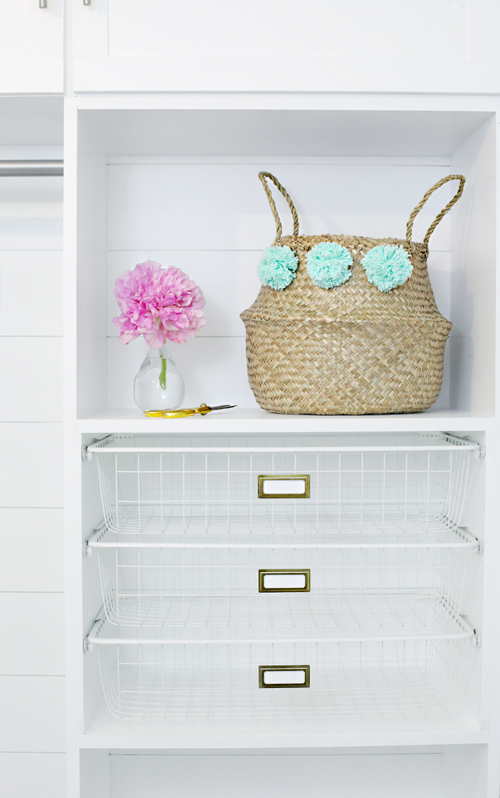 You pals know I love darling storage, and I also love crafting up anything I can to create something custom and budget friendly. 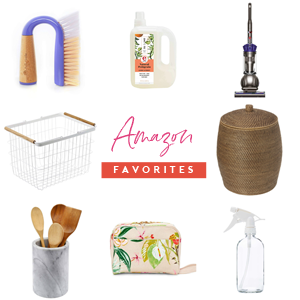 Earlier this week I shared a list of beautiful baskets found on Etsy, and I actually purchased a piece for a project I am working on with a friend. 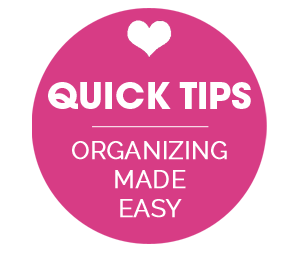 Etsy really is a wonderful resource if you are looking for something unique beyond your artistic abilities, and may also be a cost effective solution when factoring supplies and time to create the item on your own. 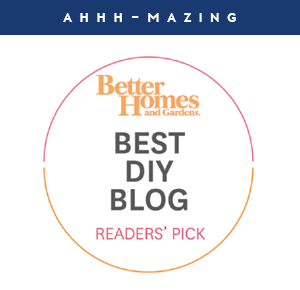 But when you have heart eyes for something high end and live on a beer budget, or just can't find the exact piece for your specific needs, that is when DIY is the way to go. When we added our sorting baskets for the boys, I lost my delicate bin slot. The basket I had been using previously was a bit overkill anyway, as I really only used it for smaller, hand-wash only items. I also tend to toss my lingerie sacks on this shelf, so I was looking for a discreet place for those to land as well. 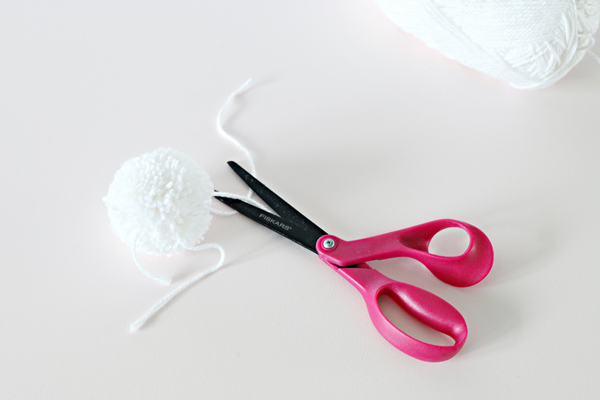 I purchased a pom-pom making tool over a year ago with the intention of adding poms to anything and everything home related, and then never used it! 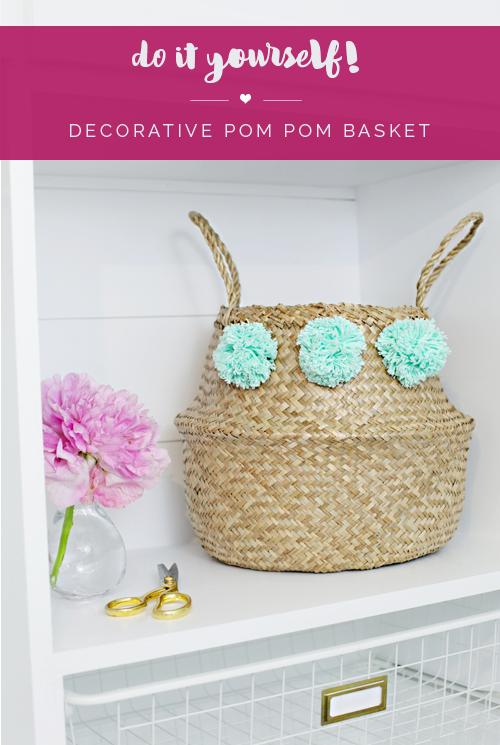 After spotting the $50-$100 price tags on the infamous pom baskets that are currently floating around the design world, I knew it was time to whip out my craft supplies. 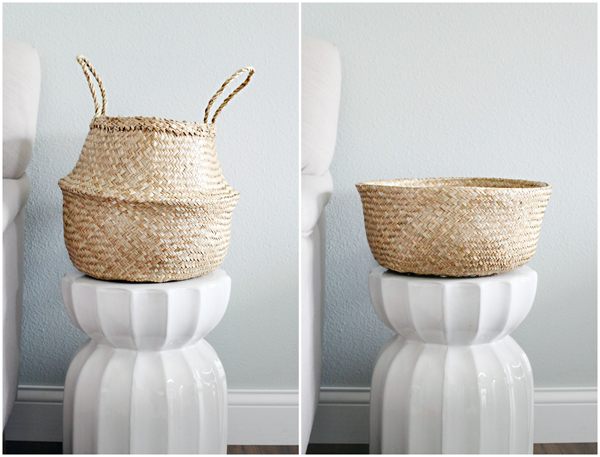 My basket isn't quite as large as the inspiration piece, but I was actually looking for something on the smaller side. And you will never guess where I found just what I needed.... IKEA! 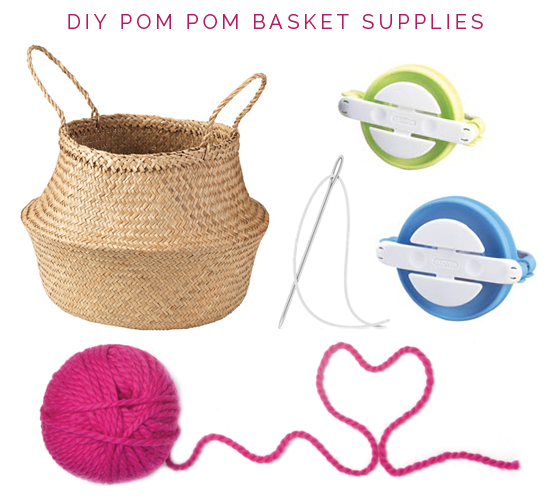 Because this was my first time using the pom making kit, I thought I would share a few tips I learned along the way. To begin, I opened the pom maker arms. Grabbing the tail of the yarn, I held it in place while I began wrapping the yarn evenly around one set of pom maker arches. I continued to wrap the yarn back and forth until the entire arc was full. 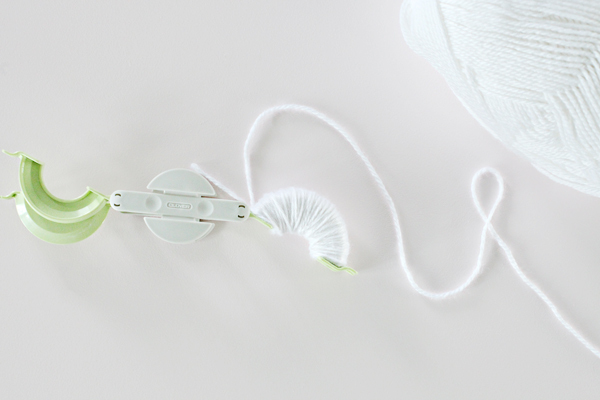 The amount of yarn used and wrapped will determine the ultimate thickness of the pom. Also, wrapping too tight might make it challenging to cut later. 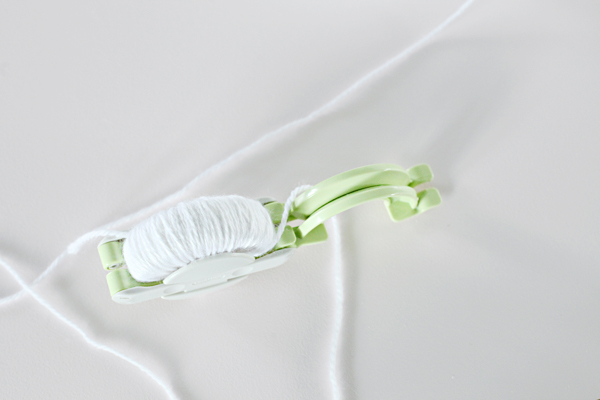 Once the first arm was wrapped, I then closed it around the maker and continued with the same strand of yarn to the next arm. I tried to keep both sides as even as possible, and once the second arm was complete, I closed things up to create a full circle and snipped the yarn. 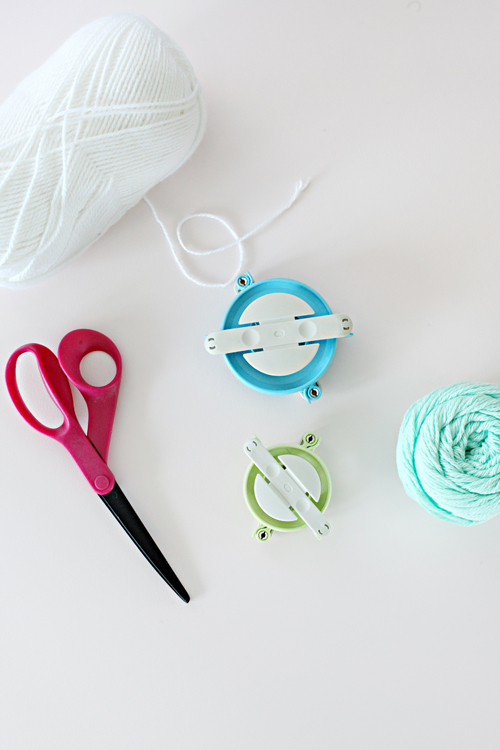 Using a sharp pair of scissors, I cut along the grooves of the pom maker. Sharp scissors are key to not cursing or crying. 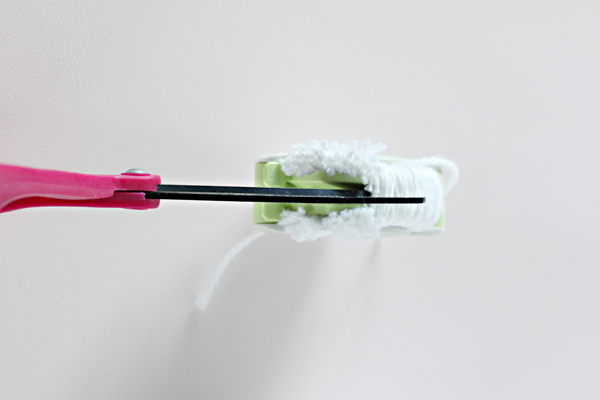 Snip another length of yarn and tie it tightly through the yarn maker groove... twice (pull as tight as you can). This will hold it all together. 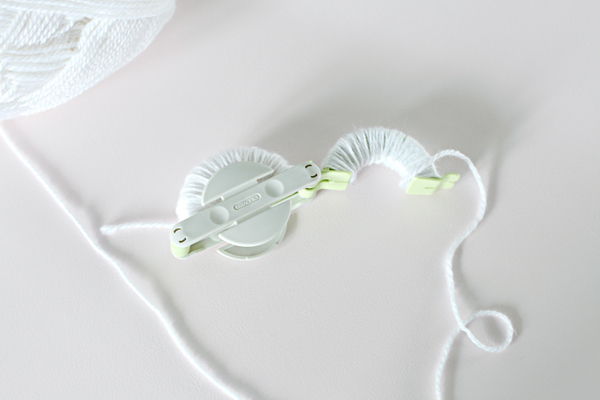 Lastly, pull apart the pom maker and use the scissors to clean up any loose strings or uneven pieces. Tada! A super fabulous pom pom! Repeat as many times as you wish! 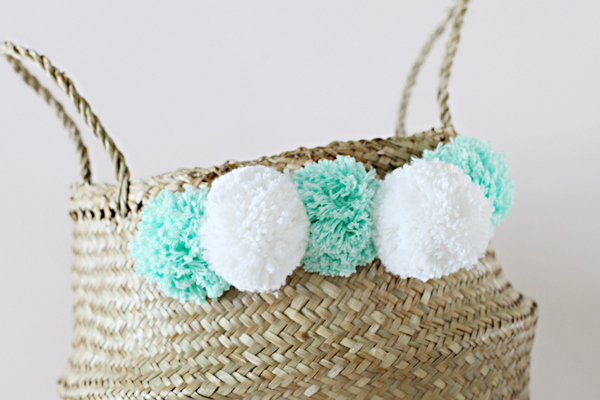 I initially planned to alternate white and teal poms on my basket, so I created a total of five. Above you can see how the two different yarn types yielded different results. 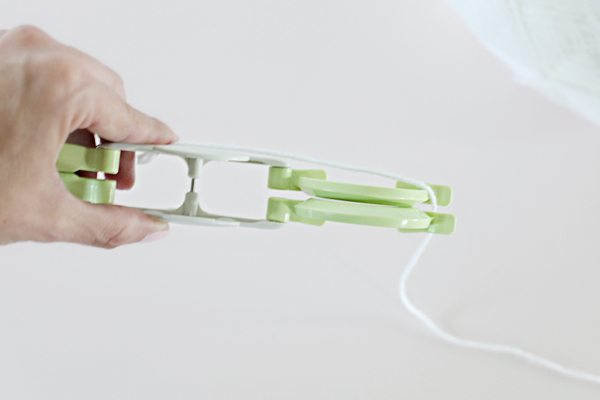 The teal actually created a more stringy effect, while the soft white were more abundant. 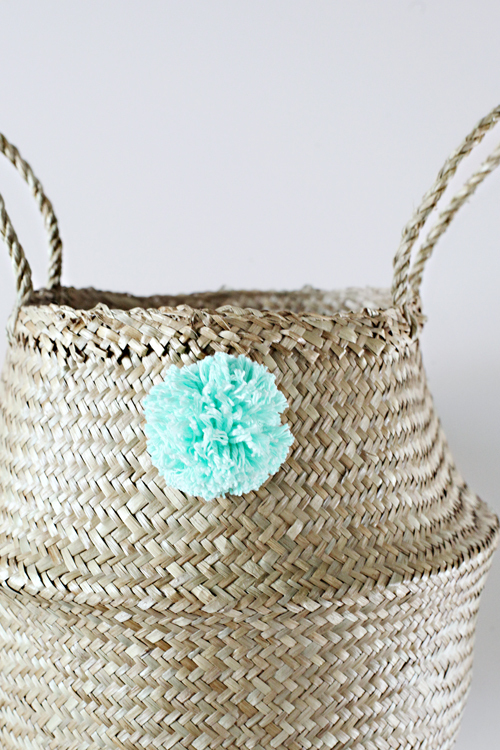 To attach the poms I used a piece of thread and a needle to tie it through the basket weave. I also added a small dot of hot glue on the inside to be sure the thread was strong enough. 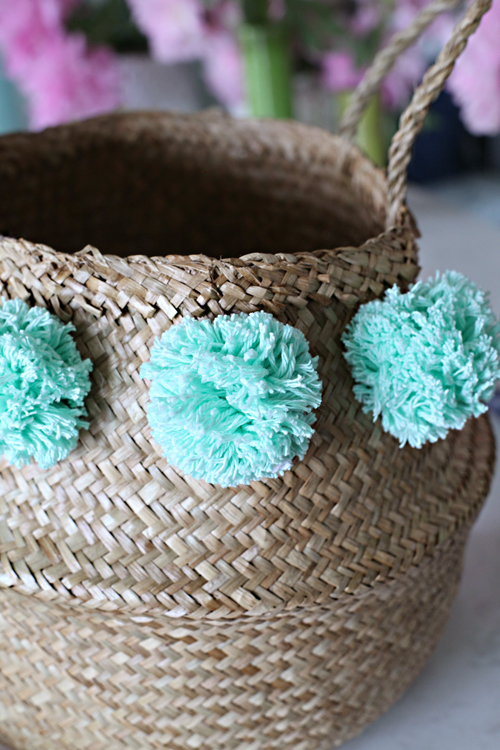 As I began attaching the poms, I decided that less was more and just went with the teal color. Although the uses for this gem of a basket are endless, it ultimately landed right where I intended from the start; in the laundry room. We are still waiting on the delivery of our washer and dryer counter, but I am so ready to finish up this little room update. Oooh! 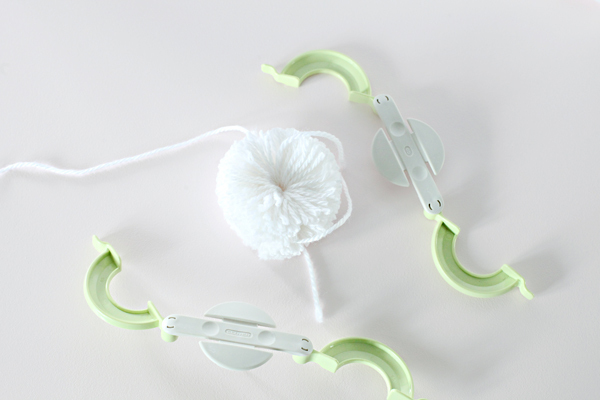 And because I am easily amused, did you know that these baskets can be used tall or short? High/Low projects are always my favorites and worth celebrating. 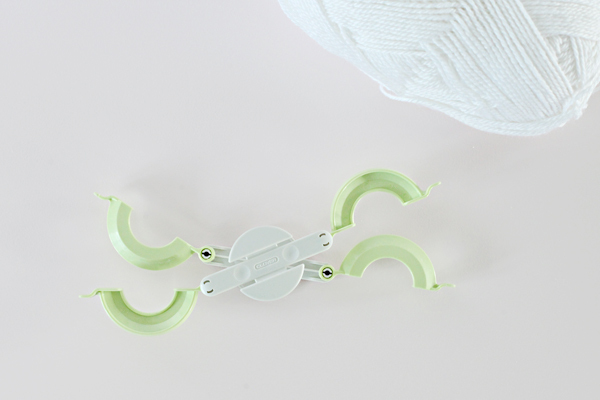 Have you crafted or DIY'd anything based on expensive inspiration lately? 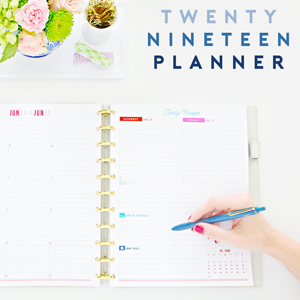 I would love to hear about your recent projects in the comments below! One more oooh for today! 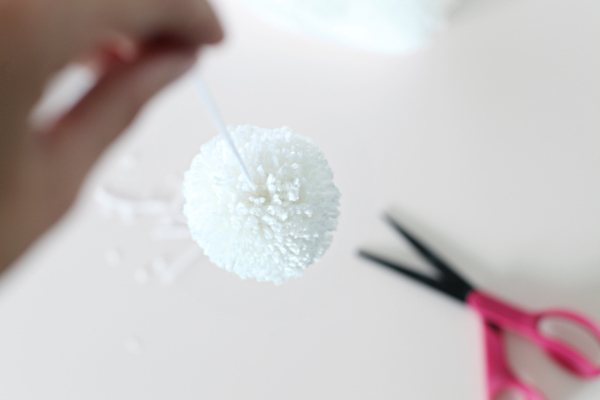 My dear friend Cassie shared how to make poms without any fancy tool at all! You can check out her post here. 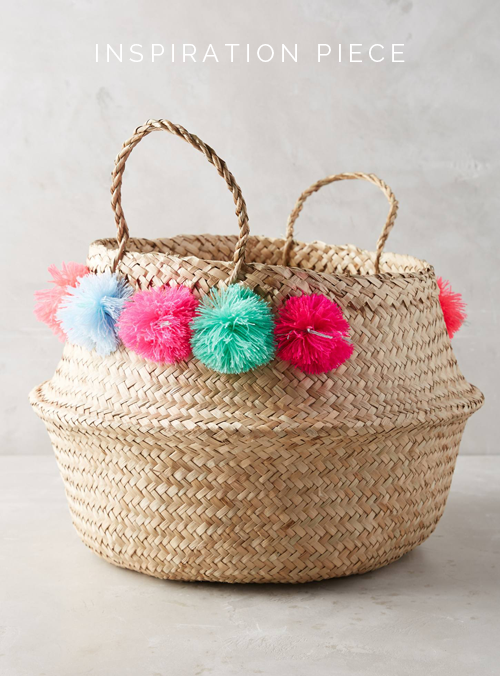 Well, who knew pom poms were missing in my life?! :) So very cute! Will have to try my hand at that. I have a baby girl due soon and those would be so cute in her room! 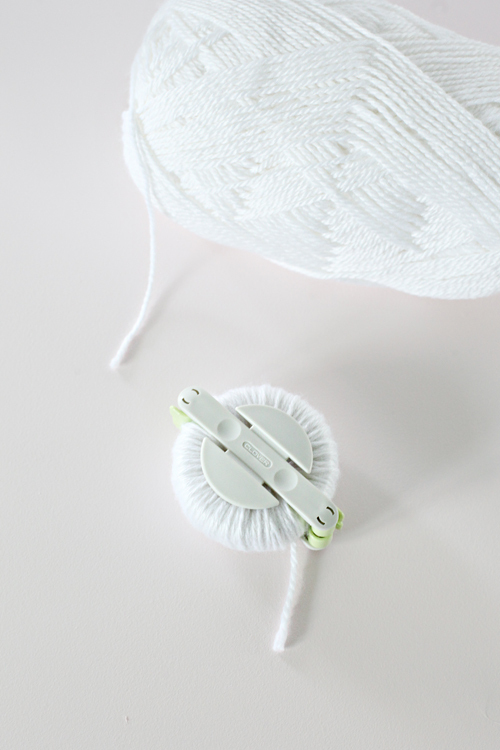 I've never even heard of a pom pom maker, but that looks like such a neat tool! 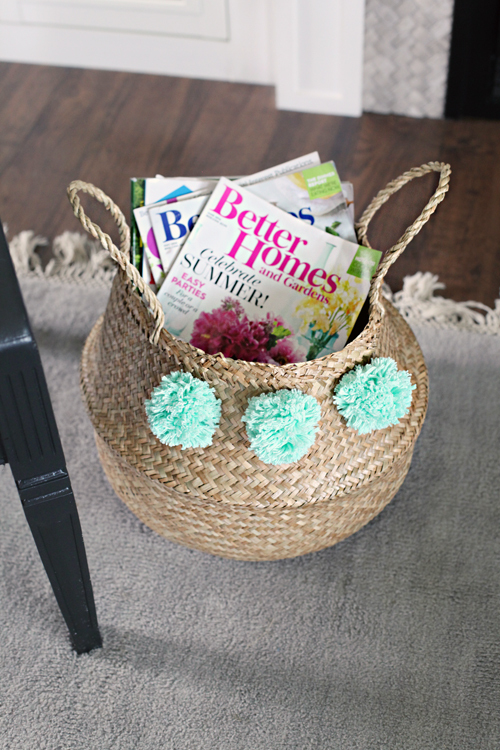 Your basket turned out great. Thanks for sharing. Cute, cute, cute! I just got back from Michaels and wish I had seen this post before I went! 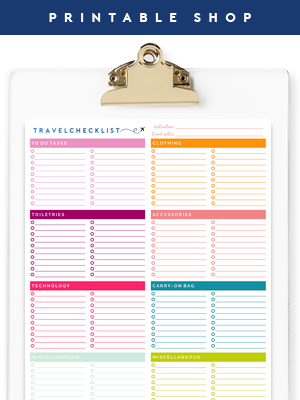 It's on my list now. Thanks for sharing. 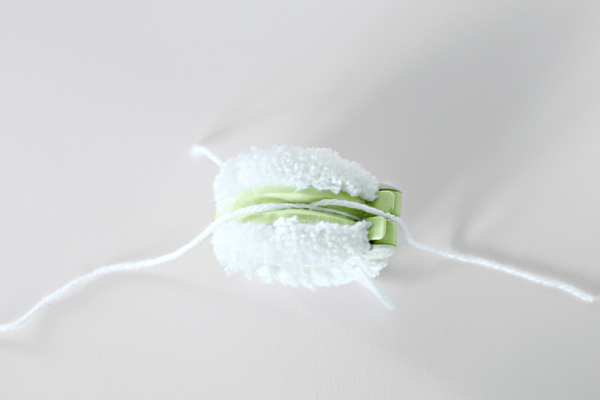 Ummm... those pom poms in white = instant indoor snowball fight. 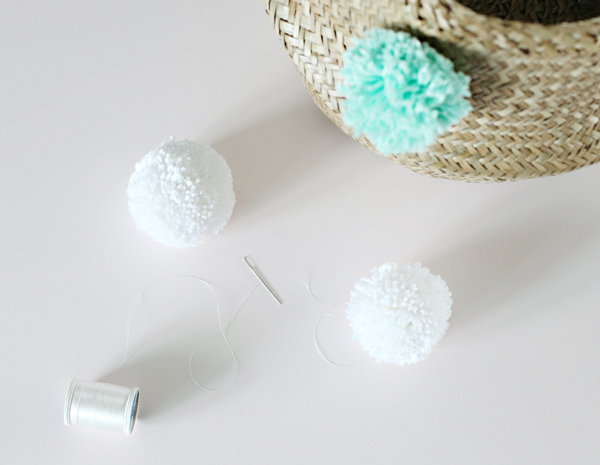 Now I know why I need one of those pom pom makers! 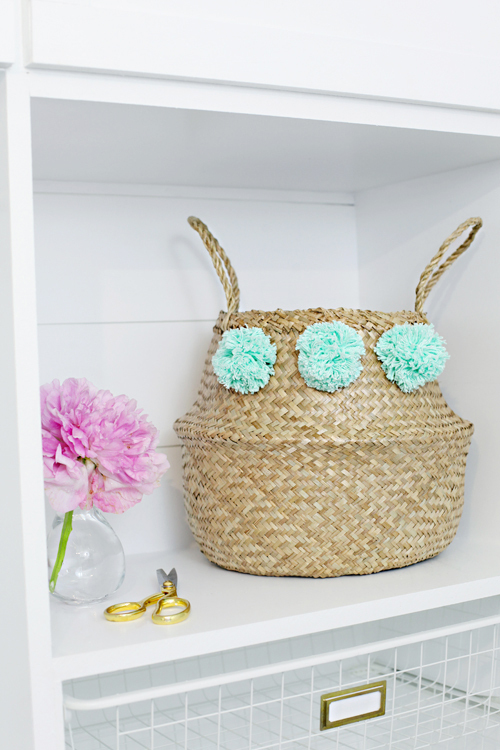 What a cute embellishment for a basket! 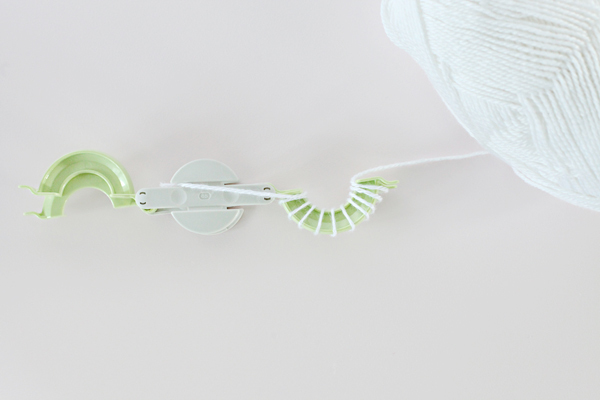 Love the idea & I love the colour you chose :) I may have to try this out!